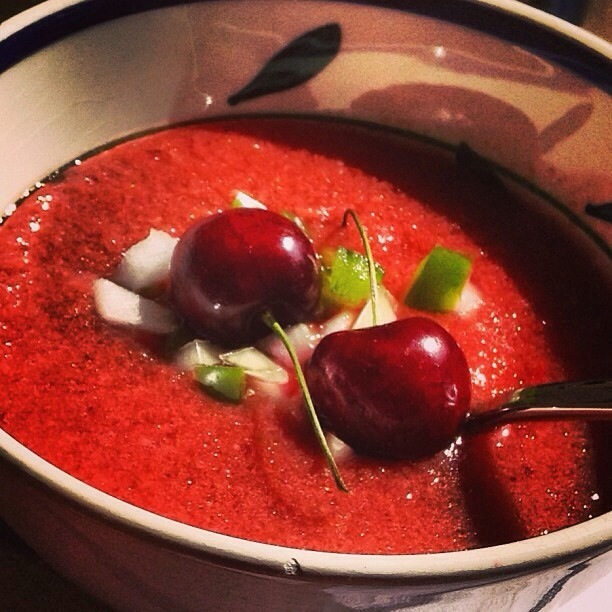 I do very much the same gazpacho every time. 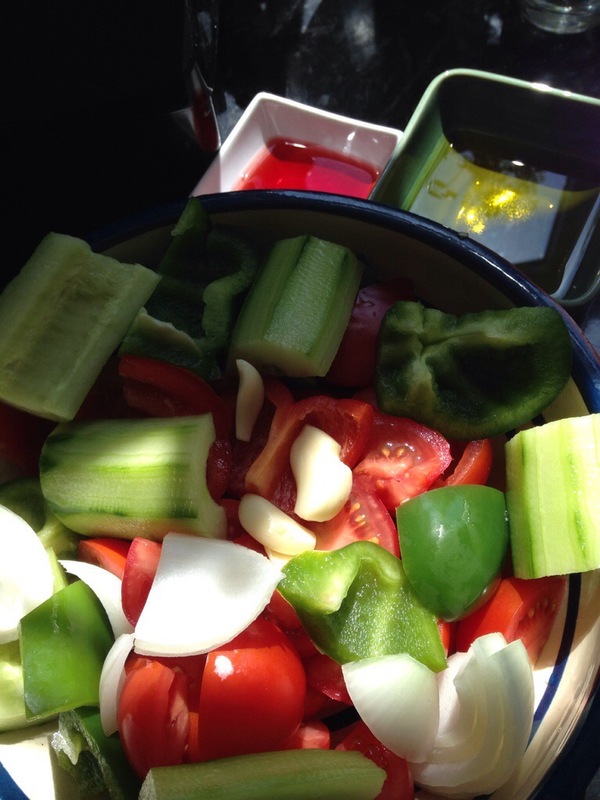 Tomatoes, green pepper, cucumber, onion, garlic, salt, olive oil and vinegar. 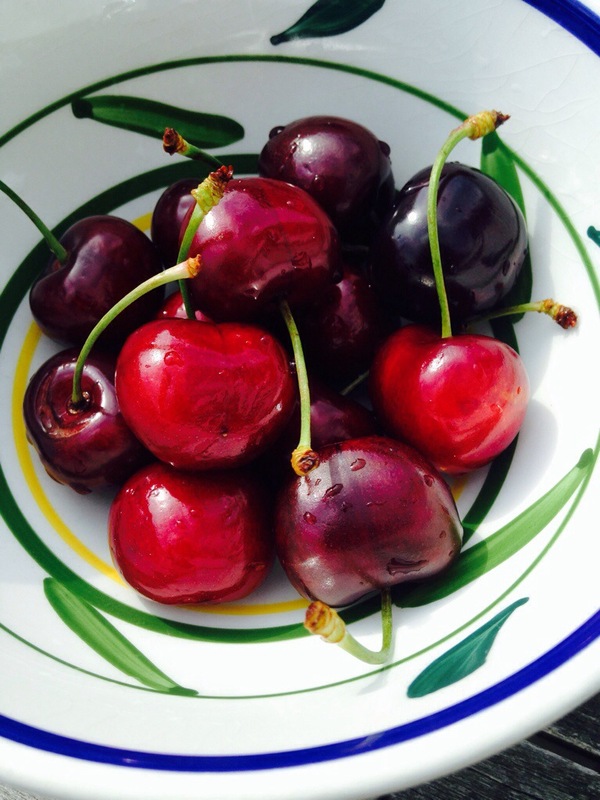 This entry was posted in catering, cooking, eating out, fitness, food, health, home, home cooking, kitchen, love, nutrition, raw food, small kitchen appliances, snacks, spanish, vegan, vegetarian, world food and tagged catering, cherries, food, gazpacho, love, Spain, spanish, summer. Bookmark the permalink.